Are YOU "one of a kind"? 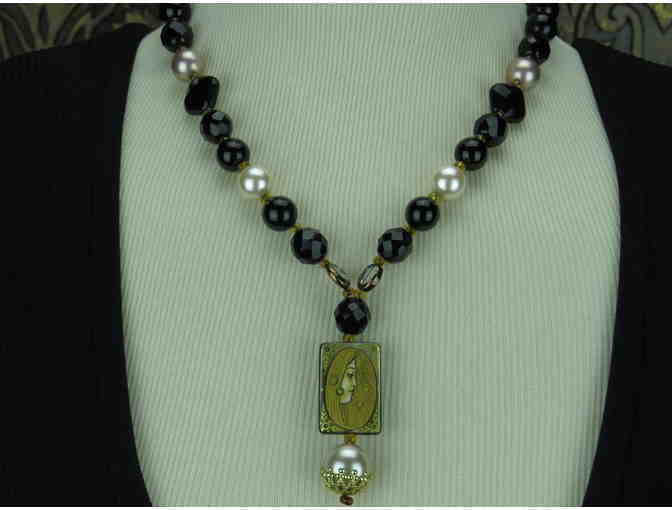 If you are a trend setting Fashionista, who makes her own fashion statement, this one of a kind necklace is for YOU! Easy on/off Secure TOGGLE Clasp! It's all in the details! 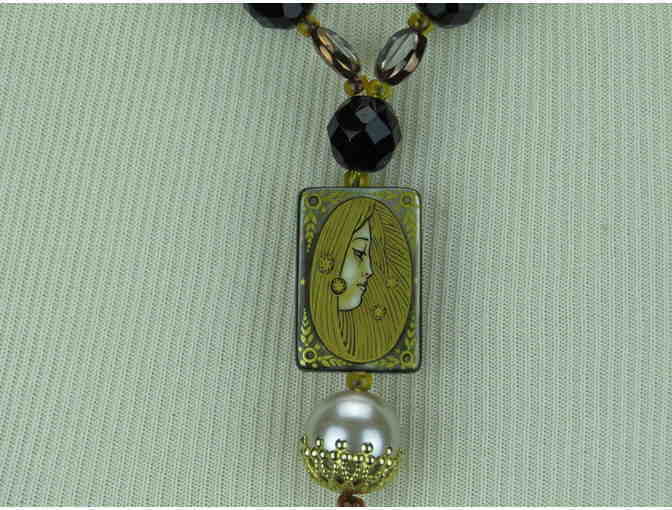 Each piece by BeJeweled is one of a kind. The story of this necklace begins with an investment of more than a dozen years, to source unique elements and gemstones from every corner of the world. Prepare to be noticed, but you will never see another woman wearing YOUR very own signature piece! Handcrafted, each BeJeweled offering is bestowed with love and attention to detail in its creation. The average time invested in creation of BeJeweled 1/Kind Gemstone Necklaces is 2-3 hours! Shipped via Insured Federal Express. Purchase includes custom Jewelry Pouch. When YOU Bid or BUY, a Donation will be made to: DOCTORS WITHOUT BORDERS.